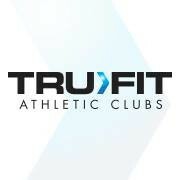 Start taking classes at Tru Fit and other studios! Parking garage located on 1st and Cook underneath the Alexan Apartments. Parking is located on the B2 Level for 2 hours. Lobby entrance is on the East (Cook St.) side of 3300 E. 1st Ave. Solid gym. Not too packed. Wish they had lotion for the showers. Nice gym, parking is an issue. They give locks for the lockers and everyone was super friendly! Showers werent the best, took a while to heat up in the morning too. Equipment is great! Love this gym so much I bought a gym membership on my first visit. No towels in locker room??? Parking is rough if you dont live within walking distance. Otherwise this place is your standard gym.